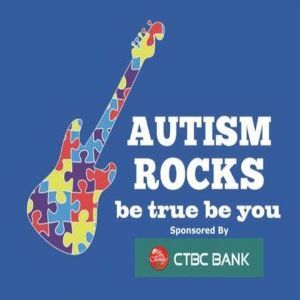 Los Angeles, CA - April 20th, 2019: The 4th Annual Autism Rocks Concert, which is sponsored by CTBC Bank and Imperial Toys and organized by the nonprofit Swag Squad Inc., is being held at Universal CityWalk from 7-9pm on Saturday, April 20th, 2019. It will be a night of celebration, and an opportunity for people on the Autism spectrum to showcase their talents. In addition, Imperial Toys will be donating glow sticks for the entire audience to help create an unforgettable night. This year's Autism Rocks show will be co-hosted by the co-founder of Autism Rocks and Secretary of Swag Squad Inc., Alex K Lin and YouTube sensation Piper Rockelle. The concert will be headlined by Single By Sunday, Miracle Project Live, Logan Sheppard with his band Logan's Heroes, Adin Boyer and Dylan Bernard. The three previous Autism Rocks concerts were held at Universal Citywalk Hollywood and Third Street Promenade with Dylan Dunlap, American Idol's James Durbin, Adanna Duru, and YouTuber Travis Atreo, among others. Shawn Mendes and NBA superstar Blake Griffin also supported this cause in previous years. "I am a 19 year-old kid with mild Asperger's Syndrome," reveals Alex K Lin. "I started this concert with one mission in mind: to spread awareness and educate others on the topic of autism. Growing up as a person with Asperger's, I felt like no one understood or supported me, so I wanted to create an event that would educate others and showcase the talents of people with autism, and illustrate that people on the spectrum are as talented and valuable as anyone else. "Additionally, I started this concert as a way to honor my grandmother Grace's legacy. She always loved and understood me unconditionally, even though I was considered different to everyone else. So I wanted to make sure that my Grandmother's unconditional love would be given to the rest of the autism community, because they also deserve every inch of the love my late grandmother gave to me."